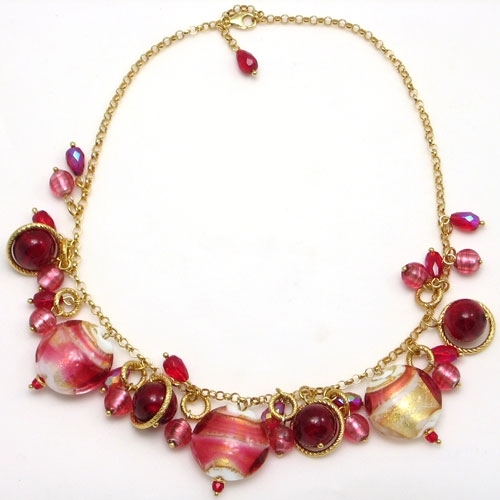 Charm Necklace Red - Murano Glass Jewelry - Murano Glass Gifts Co. 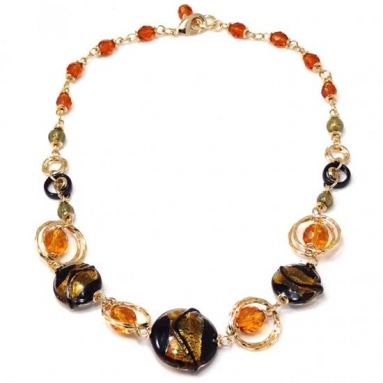 The Murano glass beads are individually handmade to perfection. 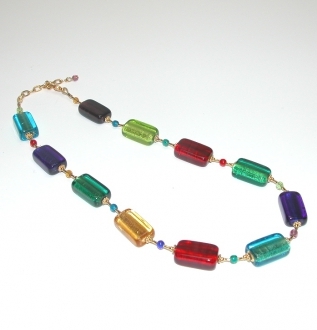 The artists take pains to craft these beads with diverse shape, color and embellishments. 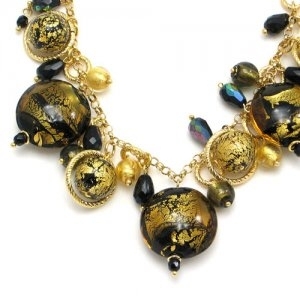 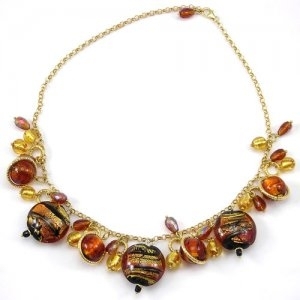 This Murano glass jewelry will be the dream of every woman. 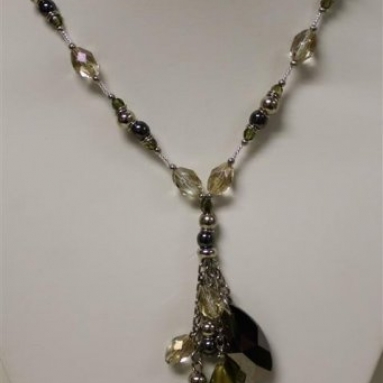 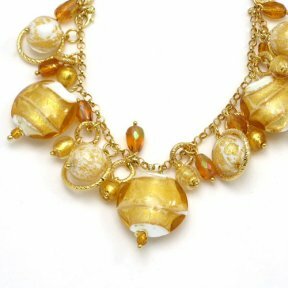 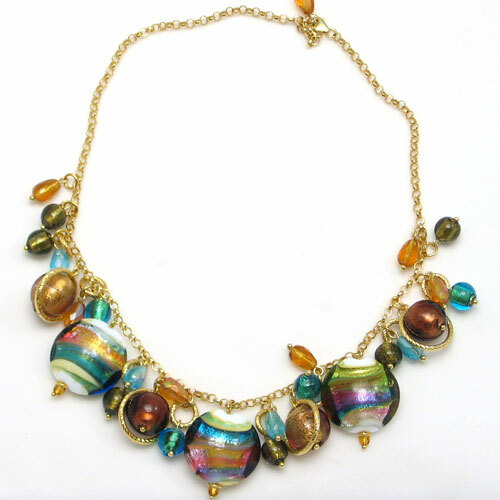 This Murano glass necklace is hung with a number of exquisitely crafted Murano glass beads of different sizes and shapes. 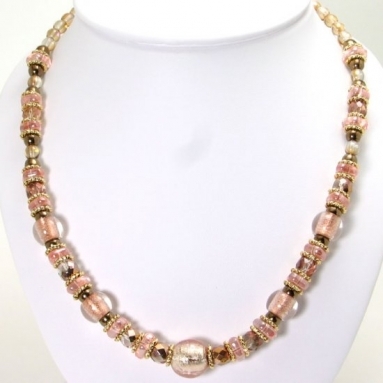 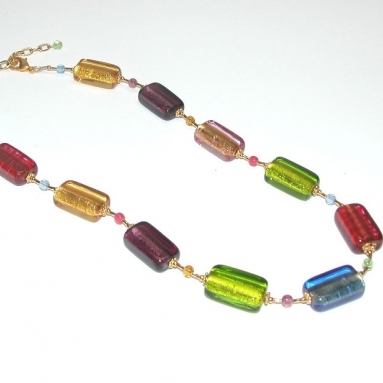 The gold chain looks really decorative with its cherry red Murano glass beads. 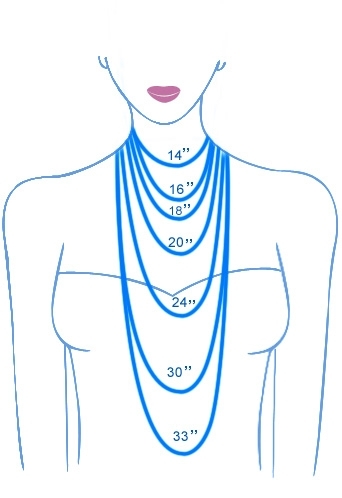 You can wear it matching bracelets. 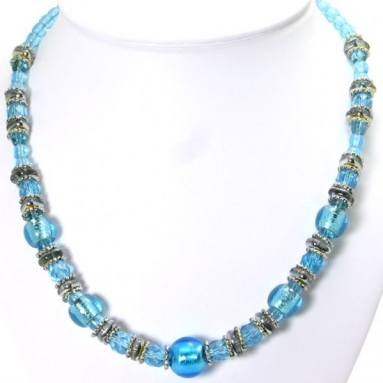 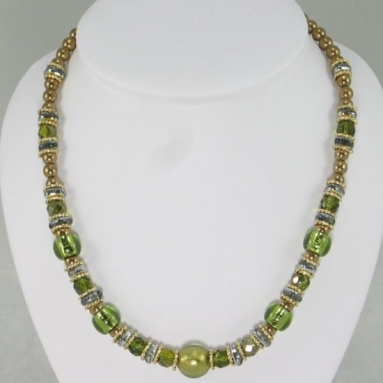 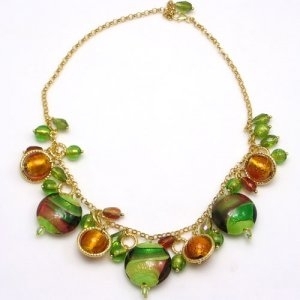 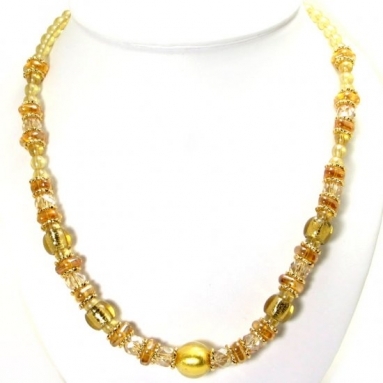 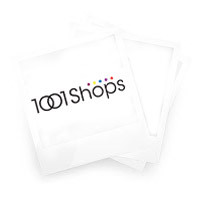 This Murano glass jewelry is a magnificent gift to your friend or relative.